Have you been thinking about installing an irrigation system, but you just aren’t sure that it is worth it? Not many people realize it, but sprinkler systems are more than just convenient luxuries, they actually come with many benefits! You’ll save money and water – When you hand water your lawn, it can be incredibly difficult to get all of the water where it needs to go without wasting any. This not only wastes water, but you will also have to pay for that wasted water! With a professionally installed irrigation system, you will never have to worry about over watering or wasting any water. 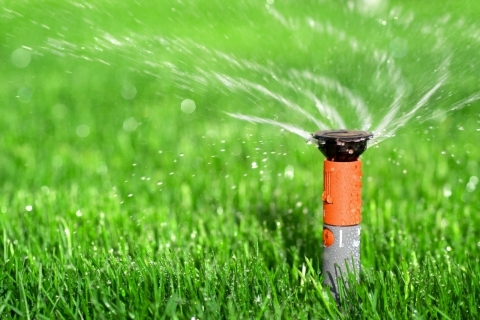 You’ll get better results – Watering your lawn actually requires a great deal of skill and knowledge. There is a formula to success, which can be hard to get right when you are hand watering, but with an irrigation system, you can get the best results with little effort. You’ll save time – With an irrigation system, you no longer have to worry about getting up before the sun to water your lawn! Your sprinkler system will allow you to sleep in and enjoy your time with your family! You’ll add value to your home – Nothing improves curb appeal like a beautiful lawn and nothing will make your lawn more beautiful than proper watering! An irrigation system also means less work for potential buyers, which is always a good thing. Installing a sprinkler system is one of the best things that you can do for your yard, and if you are ready to have one installed in your yard, give us a call today!